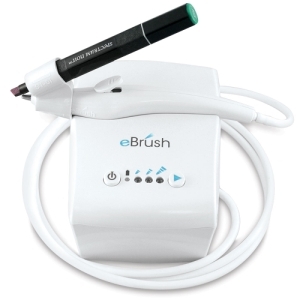 Turn any marker into an airbrush with the Craftwell eBrush Airbrush System. 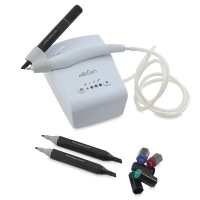 This professional-quality system is perfect for urban artists and crafters on the go. 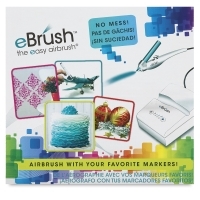 Simply insert a marker into the appropriate brand-specific adapter and push the trigger to create stunning airbrush art quickly and easily. The system features a portable electric compressor with variable speeds, which runs on AC power or a rechargeable battery (sold separately). ® Craftwell is a registered trademark.™ Spectrum Noir is a trademark. ® Prismacolor is a registered trademark of Sanford Corporation.